CBD oil is quickly becoming one of the most popular subjects among health professionals. Research is still in its infancy but paints a promising picture for cannabidiol products playing an integral role in supporting human health. 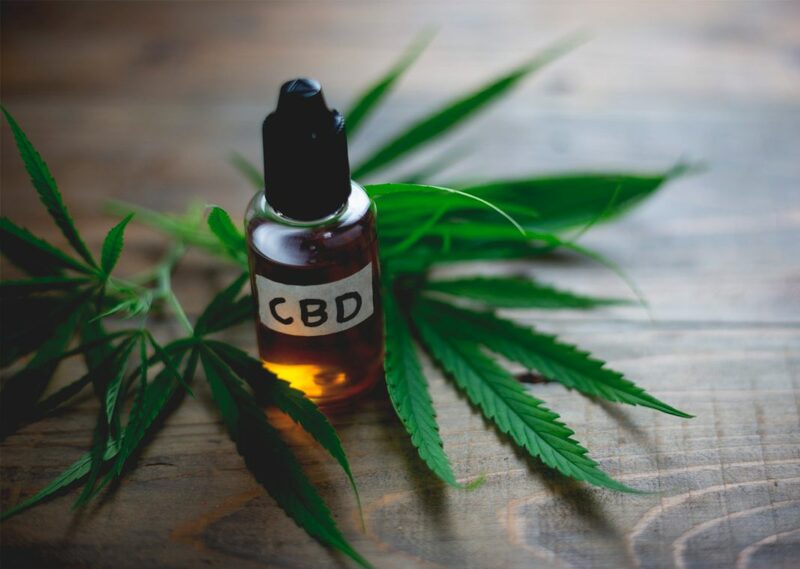 As consumer interest builds, companies such as NutraCanna are perfecting the manufacturing processes that will offer pure CBD oil products free of THC. This is a sponsored message from one of our advertising partners. The views and opinions expressed here don't necessarily represent those of the OrganicNewsroom. Learn more about this type of content in the following article: How we Make Money. The future of legalized marijuana and hemp products we were promised has finally arrived—albeit while sneaking in the door one toe at a time. Only a handful of States have legalized recreational marijuana but CBD products are readily available nearly everywhere now. Pharmaceutical companies are also racing to provide patented formulations of cannabidiol products as well. We’re not expecting the FDA to endorse natural CBD oil for the treatment of any health conditions anytime soon. While the gears of government grind slowly towards more sensible regulation us laymen can benefit greatly by learning more about companies such as NutraCanna that offer pure, natural, and THC-free cannabidiol oil products right now. NutraCanna is a CBD oil manufacturer with the stated mission of “supporting sustainable farming methods, working with family farms, while also embracing science as [their] guide ” They source all their products from family-owned farms in the State of Kentucky and are licensed by the Kentucky State Department of Agriculture. That may sound boring—but in emerging markets such as hemp-derived oil it’s important to buy from reputable sources. NutraCanna is not ran from the basement of someone’s house. Potency: Wide selection of products with varying potency. Purity: Products contain zero THC and lab tests posted on website. Other Ingredients: CBD Oils are suspended in Non-GMO Coconut MCT Oil. NutraCanna doesn’t just offer cannabidiol oil but has a wide range of products to select from. They offer CBD oils, encapsulated hemp-derived oil supplements, hemp oil infused topical creams, and even cannabidiol edibles! A quick glance through their catalog shows an option for nearly every demand. Edibles: Organic ingredients, CBD Oil, and natural flavoring. Topical Creams: Non-GMO, Coconut oil/glycerin base with many organic herbs. Tablets: AM/PM tablets to help provide convenient access to smokeless CBD. CBD hemp oil is one of the most exciting topics we’ve covered, to be honest. The concept that a natural compound can have such wide-reaching benefits for human health is incredible. For the most part, we’re still holding our tongues about many of the specific benefits reported by many users—at least until substantiated research grows a bit more. In addition to selling high-purity and naturally-formulated cannabidiol oil products, NutraCanna also maintains a very informative blog. There you can find detailed explanations of the benefits of hemp-derived oil, discussions of the latest CBD oil research, and even guides on how much hemp-derived oil you should consider taking. Amidst the goldrush (greenrush?) of CBD oil manufacturers, it’s refreshing to see companies such as NutraCanna that are dedicating themselves to producing pure products. Their use of organic and non-GMO ingredients help give a strong foundation to their catalog of pure, THC-free, hemp-derived products. Whether you’re in the market for edibles, creams, or pure cannabidiol oil we believe NutraCanna should be on your radar.